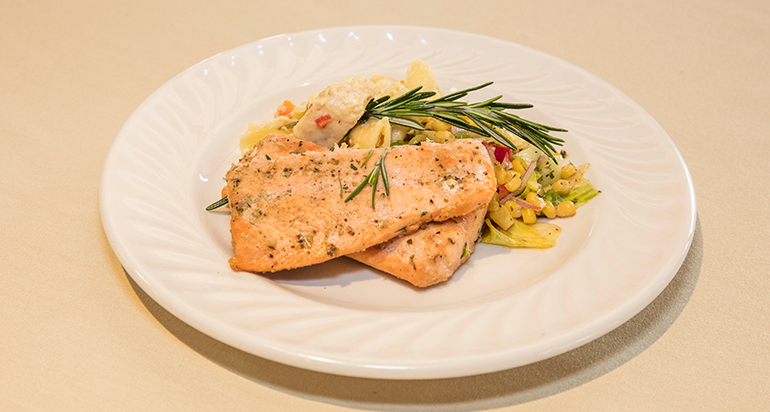 Automn House offers a wide range of exciting services and amenities. Socialize and participate in recreational activities and special programs as well as the peaceful tropical moments relaxing by the lake or on residential patios. Our grounds include a grand hotel lobby area, a living room area as well as an activity room. 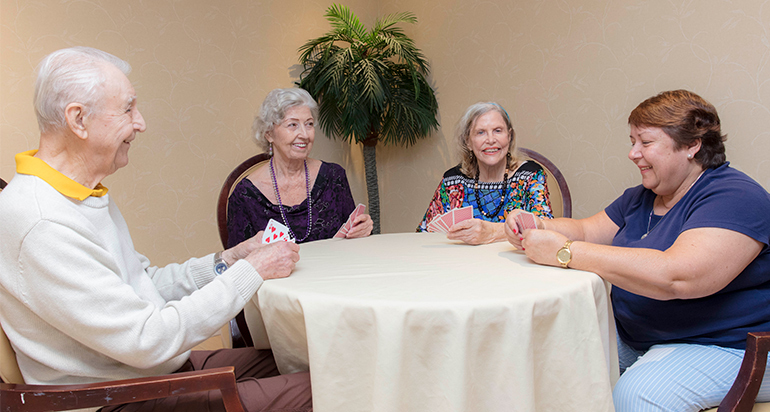 Either visit with friends at your leisure or take part in cultural and educational programs, group outings, card games, and special events. No household worries for you at Autumn House. 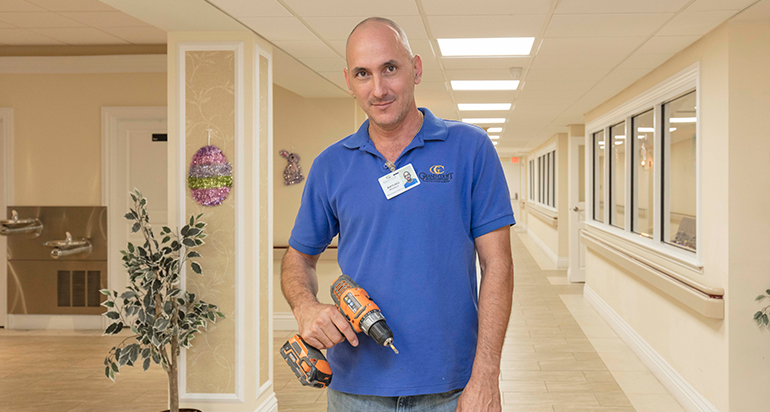 We have a full maintenance staff who can repair or resolve any issue that may arise. Our Maintenance Department is staffed 24 hours-a-day, 7 days-a-week, thus, there is always someone here to assist you. These dedicated members of the team, keep our grounds and building in pristine condition for our residents and family members to enjoy. As Autumn House is resort-style living, our friendly staff is available daily with housekeeping and towel service. We also provide new linens weekly and offer personal laundry service. 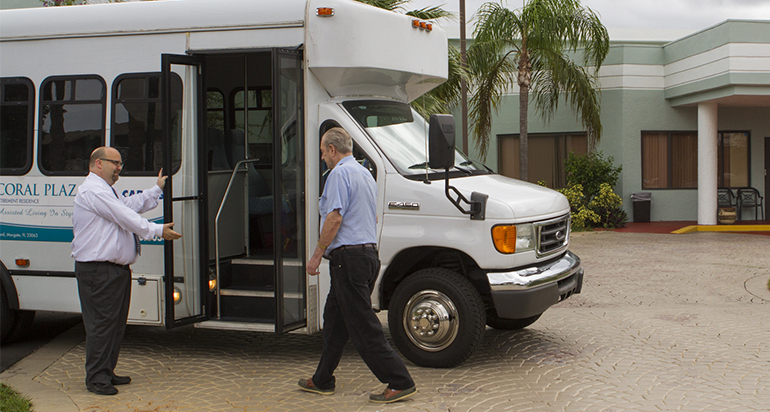 Autumn House provides complimentary shuttle transportation for all scheduled excursions and planned activities that Autumn House coordinates. Our front reception area is open seven days a week for your convenience. We will be more than happy to assist you with your doctor's appointments, information on the local area and attractions, scheduled Autumn House activities, and any other questions you may have. No decision seems harder than moving a cognitively challenged parent or loved one into a memory care community, and yet it may well be the most loving thing one can do. Particularly when you choose Autumn House. 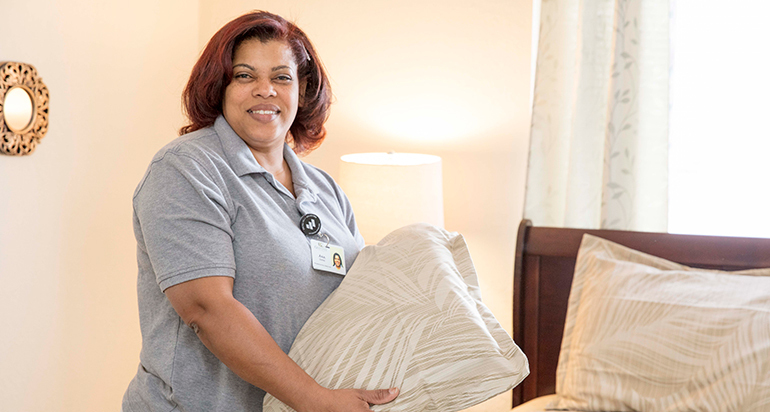 In this safe and loving environment for residents with dementia or Alzheimer's Disease, we enhance the strengths and abilities of each individual with while supporting families and friends. 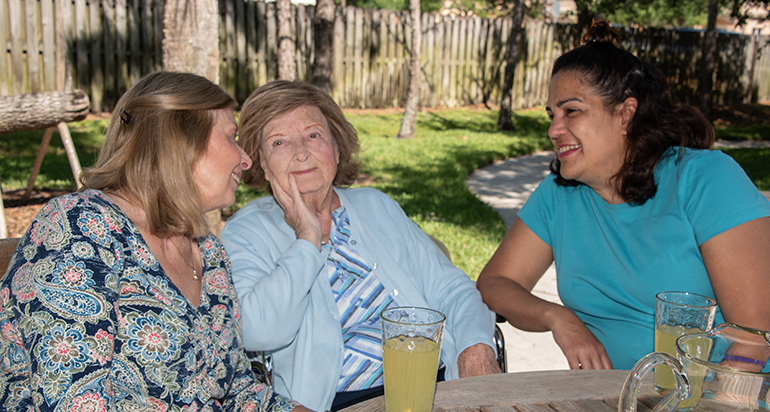 Our Memory Care staff members are trained specifically to support residents with heightened sensitivity and compassion as care in this area in a complicated undertaking. Thus, we continually train our staff regarding their delicate needs of this valued population.